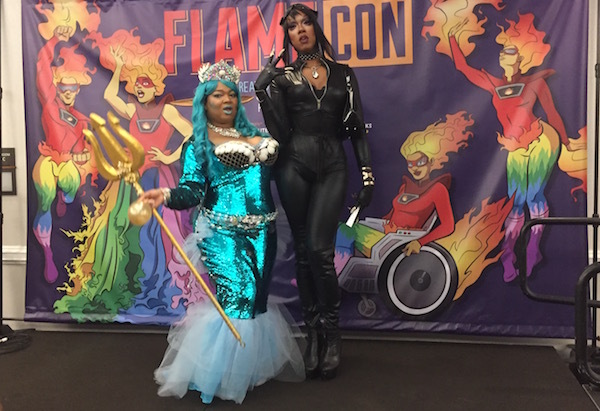 The stereotypes of nerds and gays often appear at odds with each other, but, for the third year in a row, geek culture and the LGBTQ community have enthusiastically teamed up at Flame Con. The weekend convention, held this year August 19-20 at the Brooklyn Bridge Marriott, gathers the artists and writers who create queer comic books, movies, games, and TV shows to unite them with fans. As with any gathering of geeks or drag queens, many of the attendees wore extravagant costumes based on their favorite characters. Continue reading at GayCityNews.com.